Compounding is the method of preparing medication from pure powder to meet the unique needs of prescribers and patients. The biggest advantage of compounding is that it has the ability to meet the special needs or conditions of the patient. The standard methods of delivery, dosage form, strength, flavor and formula can all be adjusted to each patient’s needs. Forbes Pharmacy offers a wide range of compounding services, including Pediatric, Pain Management, Veterinarian, Dermatology, Dental and Bio-Identical Hormones Restoration. Forbes Pharmacy is a certified member of PCCA. PCCA’s mission is to strengthen the role, position and skills of member compounding pharmacists so they can meet the unique health care needs of patients through exceptional service, high-quality products, shared innovations and education. Through our association with PCCA we have access to thousands of formulas that are formulated to fit your personal needs. Many stomach preparations for kids have to be a specific PH in order to remain stable over the course of treatment. Following formulas provided by PCCA allows us to meet those standards and ensure that you’re child remains healthy. For children that have allergies or strong dislike for Banana or Berry we can formulate or flavor medication to suit their specific needs. With a wide range of options including oral liquids, lollipops, gummy troches, suppositories and topical preparations we, along with your doctor are able to create solutions for you and your child. The treatment of pain has changed dramatically over the last few years. Compounding ingredients that are applied topically become a popular alternative. Applying treatments to the injury site enables patients to treat pain without side effects that oral pain medication can produce. Whether it is muscle tension, shingles or chronic inflammation, we can help. Ask one of our pharmacists about all our different pain creams. 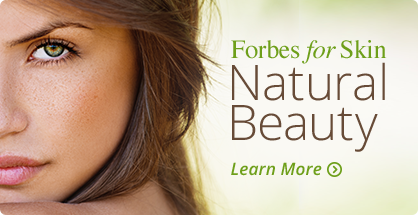 Over the counter skincare is a multi-billion dollar a year market that mainly targets women. When we compound a prescription from a dermatologist we make it for you the patient, as prescribed. Our lab contains hundreds of pharmaceutical grade powders, an ointment mill (makes gritty compounds smooth and creamy) and a tube sealer which seals plastic tubes, helping to prevent contamination when applied. If your dermatologist prescribes a product that is not commercially available, we have the formula to make it. Whether it’s a fear of needles, drills or simply a strong gag reflex, a trip to the dentist can cause anxiety. At Forbes Compounding Pharmacy, we can address problems from topical anesthesia, dry socket, cold sores, tooth sensitivity, abscesses, as well as many other common ailments. When young patients are struggling with taking over the counter medication, we have over 50 appealing flavours that can be made into liquids, tablets, gels, gummy troches and lollipops to make it easier for them to take. Going to the dentist can be a good experience, ask one of our pharmacists to see if we can help meet your personal needs.